Though we lost in OT, a valuable point was gained in the standings (29-27-8: 9th in the Eastern Conference) as the Blueshirts managed to show they cared and battled through a disproportionate number of shots against our own goal vs the shots we took against Pittsburgh. In fact, Marc-Andre Fleury only stopped 8 of 12 shots, whereas on the flip side, our goal-blocking demi-God Henrik Lundqvist had a career-best 50 saves (though letting in 5 goals). Even more alarming to anyone reading this, Pittsburgh held the Rangers to 16 shots overall and only one after the second period. The only forward puck moving Ranger on the ice during the 2nd and 3rd periods was our goalkeeper, The King Lundqvist-Team-In-A-Box. This must change in order for any potential playoff spot. Coach John Tortorella obviously will be making the necessary changes to address this, as the trade deadline is.......was.....oh right, we didn't make any changes. 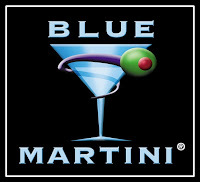 Rather, try 30 Hail Marys and four daily martinis to make things feel better. Either will work in the short term. Chris Drury, Artem Anisimov, defenceman Michel Rozsival and Dubinsky scored for New York. Rozsival's first goal in 38 games gave the Rangers a 4-2 lead they couldn't hold. On his hands & knees, Captain Drury scored the marvelous third, contorting his body while on the ground and scooped a back-handed goal past Fleury -- THAT was the clutchman we bought and got last night. Go here for the replay. And now Brandon Dubinsky & Henrik Lundqivst are another step closer to the fans' hearts -- they are Sid-haters. After Marc Staal was whistled for interference on Crosby in the first period, Lundqvist jawed at the Penguins captain behind the net and then received a cross-check to the chest from Crosby. Dubinsky rushed in to deal with Crosby to create a big scrum. One thing is for certain, it's awesome seeing the boys finally stick up for each other as a team. I wonder if Dubie again called Sidney 'a baby', words used to describe The Kid when the Rangers beat the Penguins pre-Olympic break. Henrik and 'The Diver' also exchanged jabs after Lundqvist made a save in the third. 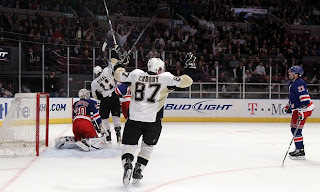 Crosby gave Lundqvist a slight slash, and Lundqvist returned the shot with his stick. If we're going to lose a game to Canada's hero, take the Sean Avery approach to dealing with your nemesis on the ice -- make fun of them and call him things like 'The Diver', 'A Baby' - stupid little words that wouldn't normally describe someone like Sidney Crosby, who is undoubtedly one of the best hockey players in the game. So overall, aside from the lack of shooting on the Blueshirts side -- they are determined looking and you could see the true disappointment of not winning the game after the battle and onslaught of the third period and subsequent OT. They are certainly turning it up as we approach the playoffs, but as a fan I still have that 'hold-on-just-another-minute feeling, before...' the inevitable catch-up or 2-goal vanishing lead' takes over, something we have grown accustomed to as a Rangers fan. This is our story. Like it or not. We show up. We cheer or we hate or we cry. We remain DARK-Rangers! Where do I begin after witnessing the game in living color? You hit the highlights that's for sure. My throat was sore from yelling at the game last night -- a rare event this season that I have been so vocally engaged (or enraged) at MSG. Marc Staal had one of the worst games I have ever seen by him. 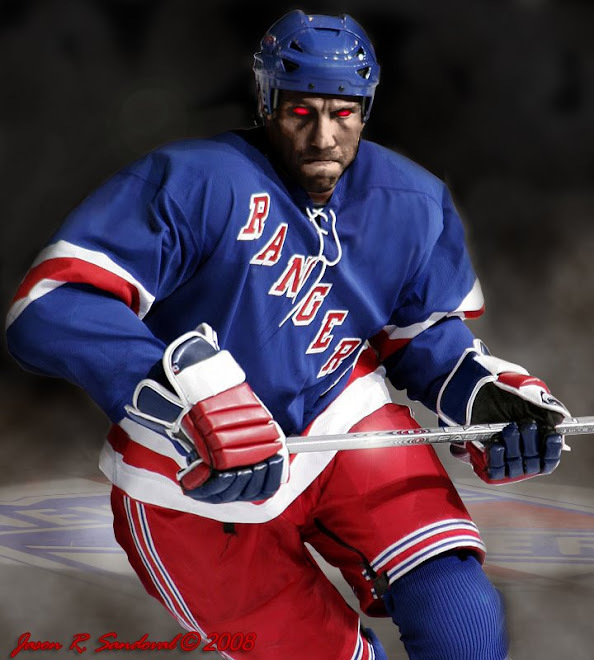 He was the worst Ranger defenseman out there. He let his brother score without doing anything to push him off stride. He shied away from contact all night long which surprised me. 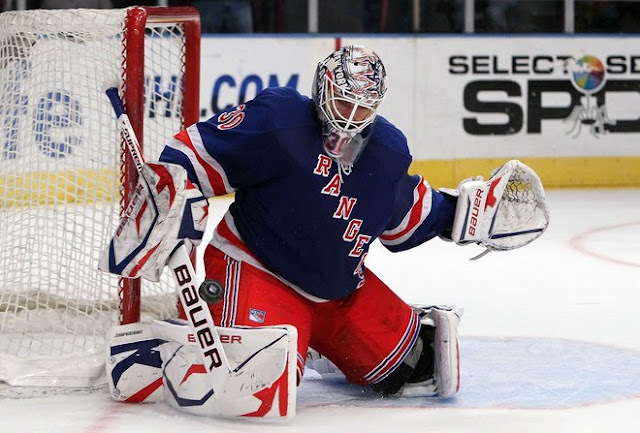 Throughout the game, the Rangers had no idea about moving the puck out of their zone to gain possession of the offensive zone to keep the Pens out of Henrik's nabe -- something people here have advocated as the way for the Rangers to succeed. Too many long passes that either became icing or were intercepted at the red line led to the Pens keeping the momentum. The Rangers showed a lot of heart and energy and emotion and yes, snarl. And for the 4th game in a row, they scored at least 3 goals without Gaborik on the ice. They would be 5th or 6th in the conference if they had played like this since January and not left so many points on the table. It was one of the most entertaining home games of the season. But they are not talented enough to stay with the top echelon teams in the conference for 60 minutes (e.g., Wash & Pitt) (let alone for a playoff series if they make it). Henrik kept last night's came close -- it had the earmarks of the 8-3 loss in Pitt written all over it. I would give Henrik a medal simply for surviving. The energy at the one-goal game in shootout against the Devils last month was probably the most exciting I've seen in years at The Garden. I am sorry to have not been there last night, as it sounds as though the vibe was parallel. 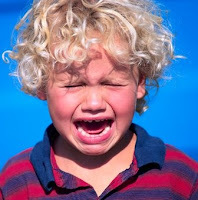 Stally is allowed a bad game -- gets our mind off of turning on Girardi for a game.